Finding a glove that strikes a good balance between protection and dexterity can be difficult. Thankfully, the Delta Plus Polyamide Knitted PU Coated VE702GR Gloves are highly resistant against abrasions and tears. 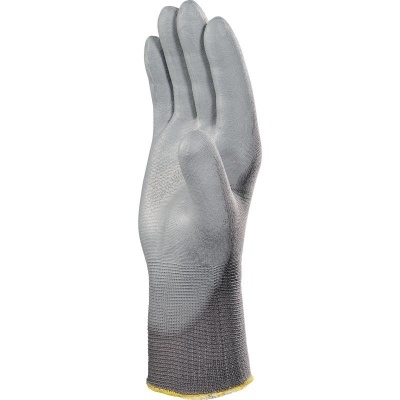 The gloves are thin in construction so they feel like a second skin when donned, making them an excellent choice for fine handling tasks. 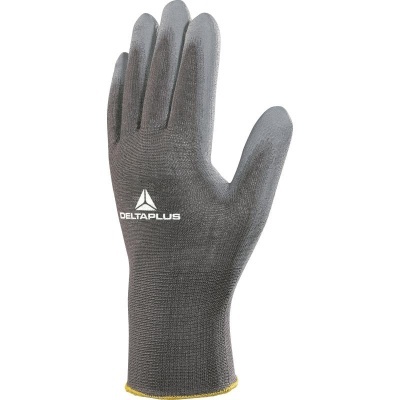 The Delta Plus Polyamide Gloves are available in five sizes to fit most hands. Please measure the circumference of your hand around the knuckles (excluding your thumb) with your palm open and your fingers together. Next, measure the length of your hand from the tip of your middle finger to your wrist.